Google Contact Sharing: How to Share your Contacts with External Users (Other Domains or @Gmail.com) ! How to Share your Contacts with External Users (Other Domains or @Gmail.com) ! Remember when you couldn’t share your contacts with users outside your domain? Well… Now we can laugh about that because Shared Contacts for Gmail® released a brand new feature that lets you share your contact groups with users of other G Suite domains or @gmail.com users, literally like you share a Google Doc… With a Shareable link or an Email! Notice that once you select the user outside your domain the option to send them a message will be enabled (do not deselect it!). Now go ahead and click on “Share”! What’s happening on the other side? In order to receive the shared group, the user outside your domain must click on the link and accept the shared group. Once that is done, the group of contacts will be shared, and you can even manage permissions (read only, can edit, etc.) in the app for the user, just like any other! If you clicked on “Send” the window to compose your message will appear and you can edit it! So go ahead and start sharing!!! Note: You can enjoy of this feature with the Enterprise plan. Feel free to give it a try!! If you enjoyed reading this blog post, like it, share it, or add your comments. Follow us and visit our website. How to share a contact group with many users at the same time? 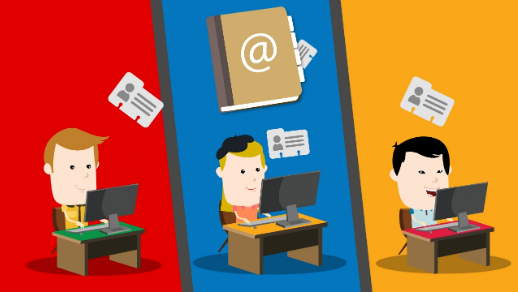 Shared Contacts for Gmail Now Automatically Syncs with Mobile Devices and Outlook! 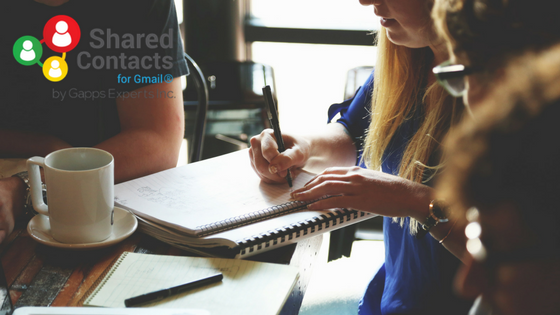 Shared Contacts for Gmail® is the simplest solution for sharing in one click your contact groups with any Gmail/Google Apps user like you share a Goole Doc or Calendar! Share with no limits of contacts, groups or collaborators!.